The Entrance into this charming home on Edisto Drive is full of excitement with simple architectural details, great patterns, and colors. The Wainscoting and Soft Gray Walls welcome every pop of color introduced into this space. I saw on another answer that the door color is SW Mediterranean. - Are you sure SW Mediterranean is the correct color on the door. The color swatch seems SO much darker. I also saw that the wall color was said to be 2 different colors. Do you mind confirming if it is BM Revere Pewter or SW gray? LOVE this! Amazing style! Obviously not sharing the true door color? Paint color on walls - What is the paint color/brand on the walls? This Question has been previously answered. So bright and welcoming! Where is the entry rug from? What are the paint colors for the door and wall? They are beautiful! where can we find the console table please? 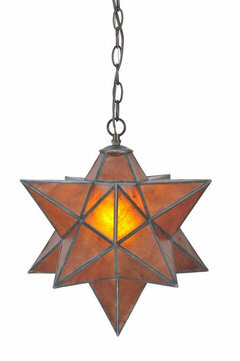 In Site Designs, the Shades of Light star light is 19" in diameter. Can you share what the ceiling height was here? I have an 8' ceiling and want to put it over a tub, you think it will be too big? Thank you! Light fixture - Where is it from? Love it! Love this look - What product is on the floor? The floor is solid red oak with a classic grey stain by Minwax. The finish is satin. What color was used on the door? Wallpaper - What is the name and Where can I buy this wallpaper on the ceiling? Such a cute space!! 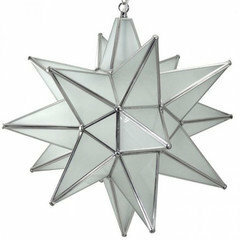 This is a Metallic Moroccan Star Wallpaper from Thibaut. Its a great reflective paper for the ceiling! Love it - great effect in a small entry. Where did you find the coat rack? Where can that door be found? - Love the windows and simple lines. Where can this door be found? What color is the door? Did it come in this color or did you paint it? dlamb - Where can I find the rug? Very nice! You might find something similar at Company C out of NH. Ceiling - What is the lovely wall paper on the ceiling please? floor stain - what color is the flour stain? What is the width of this entry please (proportions are great)? I am not certain of exact dimensions, the door is a 3'-0" Door. Hope this helps. 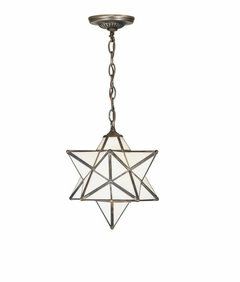 Light Fixture - This light fixture is stunning. Where can I find it? If you had to guess... - I know it has been a while since this project, so if you had to guess, what do you think the ceiling height is to handle a gorgeous 19" moroccan star light like that? Ceiling - Is the ceiling in this room wallcovering? If so who makes and color? lovely, do you have the colors of the walls and the door? 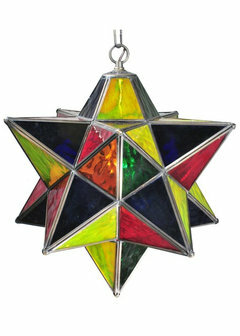 Janell Beals - House of Fifty added this to Could the Inside of Your Front Door Use a New Color? Spots of bright color work well with neutrals. 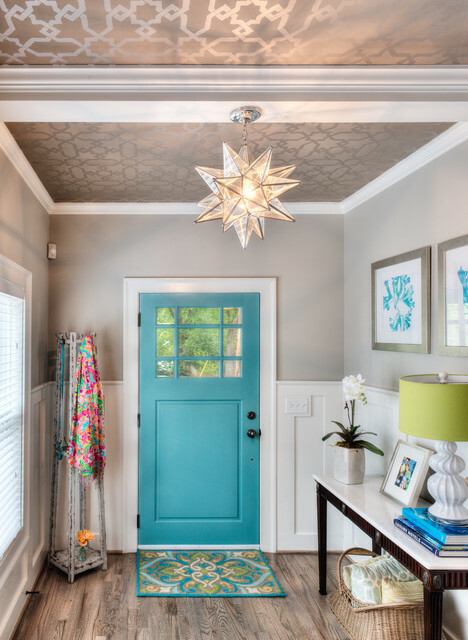 Sherwin-WIlliams’ Mediterranean on the door, mixed with bright blue and lime green accents, creates a cheerful vibe. 10. Light effects. The combination of a wallpapered ceiling and a statement pendant light creates an illuminating effect in the entry of this home. The paper is monochromatic with a darker background and lighter geometric pattern. When the light shines on it, the pattern reveals itself even more. Experiment with the combination of pendant and paper to see how this look could work for your space. 7. Play up the light. If you’re finding it hard to create the decorative interest you’d like in a hallway, check out this space. The trellis-patterned wallpaper on the ceiling adds a layer of detail, and its metallic finish glows when illuminated by the pendant light.The color of the paper coordinates with the paint above the crisp wainscoting, which protects the walls from scuffs in the busy hall. Photos in Bright and Fresh Residence in Greenville - Edisto Dr.